For property managers, field inspections of rental properties can often be time-consuming and frustrating. FotoNotes is helping to change that. The easy-to-use mobile application and enterprise-class cloud platform provides property managers and real estate professionals with the ability to perform field service operations easily and efficiently. Easily customized with a variety of smart mobile forms, FotoNotes is available with both an iOS and Android version, ensuring that field techs can complete forms quickly and even utilize GPS-tagged photos. Perhaps best of all, FotoNotes can be used in the field, with or without an Internet connection. The app then automatically syncs information back to the cloud. With FotoNotes, companies are able to generate branded, professional reports that are actually customized to their specific needs without worrying about making do with forms that do not really address their situation. Whether it’s work order management, maintenance and repair, or an inspection, FotoNotes helps to make the process easier, faster, and more accurate. In the past, real estate professionals were often stuck using an inefficient manual paper process. FotoNotes replaces that process by streamlining, automating, and modernizing field services and reporting. Along with helping to reduce labor costs, FotoNotes also helps field operations to become more productive, while providing improved information. Ultimately, this means better services for clients. With FotoNotes, work order management becomes easier and more efficient by creating, assigning, and managing work orders, tasks, inspections, and projects. Users can access work orders, tasks, and attached documents using the special FotoNotes web portal or a convenient web app. Work orders can be searched, sorted, or filtered according to custom fields, date ranges, and status. Once accessed, work orders can be assessed for quality assurance, approved, rejected, or even reassigned. Users can also opt to generate a professional-quality report for printing, emailing, or viewing online. The native mobile app provided for iOS and Android ensures that all work orders can be performed on a mobile device. Data can be collected via highly configurable mobile work orders and inspection forms. Users are able to view dynamic fields that appear based on answers to previous questions. The mobile app allows users to capture data, bar codes/QR codes, photos, GPS data, touchscreen signatures, and date/timestamps for a greater degree of accuracy. Voice features are provided to narrate long text or record voice notes, thus increasing quality and saving time. In the event that there is no Internet connection, users are able to work offline with complete assurance that data is stored safely and then uploaded automatically once a connection is re-established. Both import and export are supported. FotoNotes can even be integrated with existing systems to ensure a smooth transition. 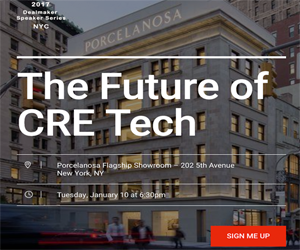 The potential for FotoNotes to completely disrupt this sector of the real estate industry is so great that HousingWire named FotoNotes as one of the 100 most innovative real estate technology companies.